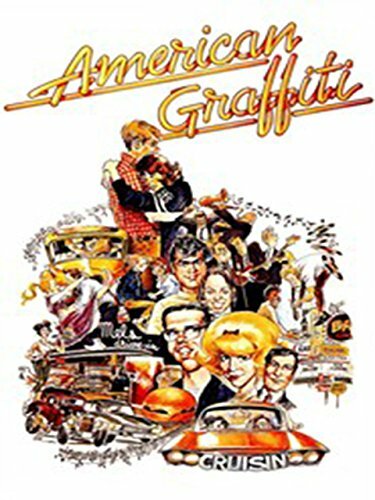 The first classic movie in my loooooong list to see is American Graffiti. As a huge Star Wars fan, I was always aware of this film being how George Lucas first made his name. I chose to watch this first, simply because I was shooting a fashion editorial today in a retro American Diner, so it kind of fit with my general theme for the day. Going into it, I didn’t really know what it was about or what to expect. I knew the general setting of cars, diners and Americana, but that was about it. The first thing that I had to get used to was that this is several individual stories, with occasional convergence rather than a single narrative. It’s a fly on the wall of 1960’s American teen nightlife. You follow the various characters as they navigate their last night before going off to college. From my point of view, this felt like one of those nights as a teenager, where you go from place to place looking for a party, but never actually finding one. Eventually it does culminate in a hot rod showdown, which doesn’t last long. I can’t say this film really blew my mind, or that I’d be in a rush to see it again. I can see how someone like Quentin Tarantino could have taken inspiration from it in the way that he structures his movies, and the basic premise is similar to films like American Pie. I did enjoy the appearance of very young Harrison Ford, Richard Dreyfuss and Ron Howard, not least because Harrison obviously went on to play Han Solo in Star Wars, and Ron Howard is the director of the new Han Solo anthology movie that comes out in a few months. It’s like a Star Wars full circle! haha! I’m definitely glad I’ve seen this and can tick it off the list, but I know I’m in store for better viewings as I go through more of these classic movies.